Group U offers online courses and ministry certification to equip you to do one thing really, really, really well: transform lives through Jesus. At Group U, you’ll become part of a vibrant online learning community with others who have the same passion, while receiving practical training to make your ministry highly effective. You are surrounded by a community of like-minded, heart-for-Jesus people. Online does not mean alone! 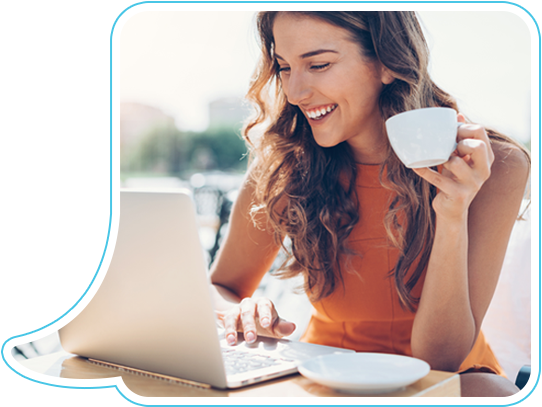 Access your online courses anytime on multiple devices. Group U offers flexibility with the power of online learning! Individual online ministry courses on topics like Understanding Kids Today, Empowering Volunteers, and Leadership Development, along with Children's and Youth Ministry Certification, can all be found at Group U. Each course is created to be manageable with your busy schedule and can be completed within a month. Select your online course. Enter all the information plus a credit card number, and you can immediately access the course. As soon as you enroll you can start learning, building effective and practical new ministry skills. Access your course from your computer, smartphone, tablet or other mobile devise 24/7. Take a course, and you are on your way to certification! Certification from Group U in Children’s or Youth Ministry is different from other online training providers. We don’t believe you should have to pay large amounts of money for a certification program that you might not even like or that doesn't fit your personality. At Group U, you take a course... if you like it, you take another one. 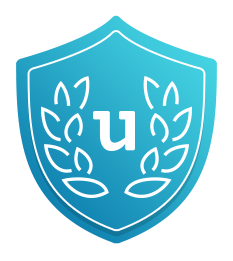 If you complete 3 core church leadership courses and 3 electives in either Children's or Youth Ministry, you will receive your Group U certification. And some special suprises are included with certification from Group U! But enough about that now. Take a course, enjoy a course, and you are on your way to certification. SIMPLE. Group U courses are built by experts who don't just talk about ministry. They are doing it every day! They work with kids, teens, and adults. We call that walking the talk! Four keys you may be missing that unlock true transformation. You need volunteers. We help you find them. Lead as Jesus led—and make a lasting impact. Give kids what they really need to stand strong in their faith. Surefire ways to control classroom chaos without sacrificing fun. Equip teenagers to handle life’s tough stuff—and stand firm as Jesus- followers. Surprising ways to keep your youth ministry focused on what matters most. Harnessing the faith-shaping power of the home. Insider insights that will double the learning in your classrooms. Master an understanding of how kids learn at every stage of their development. The best ways to come alongside kids in crisis. Maximizing the most powerful faith-shaping influence in teenagers' lives. The power of tapping into your teenagers’ natural desire to make a difference. The tools kids need to face today’s culture. Ministering to troubled youth with an approach that works. Certification in Children's and Youth Ministry is more than just a piece of paper. It is a quiet confidence that you can handle what is ahead. Certification from Group U isn’t about passing a test or answering a bunch of questions; it's about improving your effectiveness in ministry today. Take a total of 6 online courses (3 core church leadership and 3 electives in either Children’s or Youth Ministry), and you can know that you are ready to be more effective right now. Be prepared to take advantage of every ministry opportunity that God places in front of you. At Group U, we don’t believe that paying a lot of money upfront really helps you improve your ministry skills. Simply take an online course, enjoy a course, and you are on your way to new ministry certification. No loans needed—just a desire to grow your skills. And there are some special surprises that come with Group U certification! We’ll let you know what those are once you take your first course. Great ministry leaders are not born. They are created and honed over time. Group U allows God space for true development to happen. Going past training to personal growth and development. We believe that you learn better by being in relationship with others. That is why we are very intentional about building a vibrant learning community within Group U. We know that learning online can be a little lonely. Our goal is for you to feel supported and encouraged so that you can fulfill the purpose that God has called you to. Here are specific examples of how we build a great community within Group U. You will be able to connect weekly with others around course topics and assignments. This is a safe place where you can share your experiences and results. You will find encouragement and positive feedback that will help you continue to grow. These events are moderated so we will keep people on track and make good use of your time. When you signup to take a Group U course, you’ll be invited to join our private Facebook community. Only people taking courses will be allowed to participate. This community will be a place where ministry leaders can ask questions and learn from each other. It will also be moderated by ministry practitioners who have years of leadership experience and will assist with questions, prayer requests, and feedback. Each month you’ll have the opportunity to participate in a virtual classroom on a current ministry topic. This topic will be general and relevant to everyone in ministry. People in various ministry roles and in different courses will get together to talk about issues and topics that really matter and impact today’s leader. 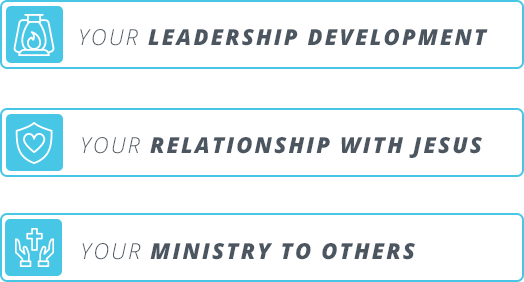 Become The Best Ministry Leader You Can Be.